Festive and demanding. 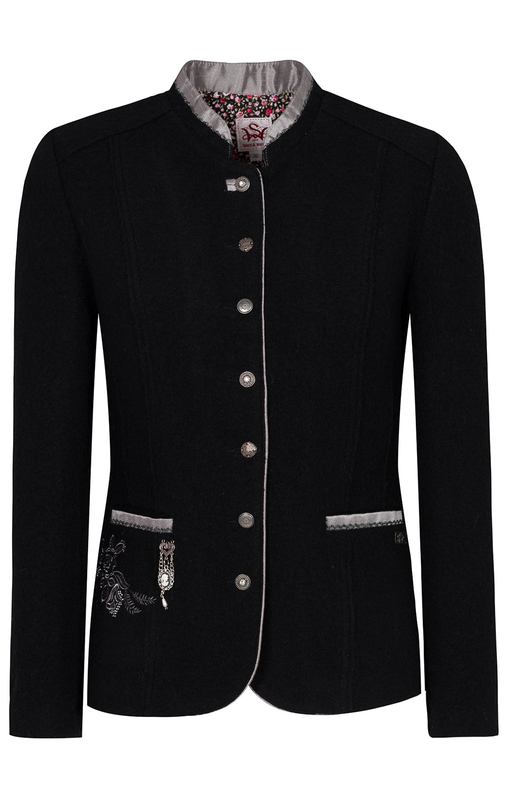 The traditional walking jacket colour black grey will inspire you. The lightweight walking jacket quality is as the name implies feather-light and through the natural material wool very comfortable to wear due to the temperature-balancing effect of wool. 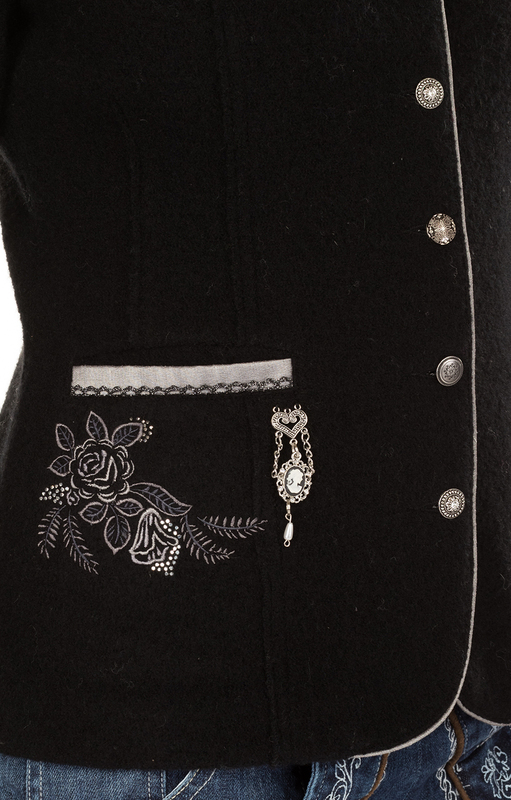 With the silver-coloured satin trims and the fine embroidery, the cardigan meets all the requirements for festive occasions. The small Charivari front and the various buttons are attractive eye-catcher and make the walking jacket an individual piece of clothing. The back processing is not only visually worth seeing, it is also particularly practical, because by the closed box fold in the back, the silhouette remains narrow and down to where the fold opens and decorated with a Charivari creates the width necessary for a good fit is.